Everyone likes speed! In todays world if your WordPress website is slow you’re going to be losing visitors. By making a few tweaks to your setup you can reduce your page loads times and increase the overall speed of your site. 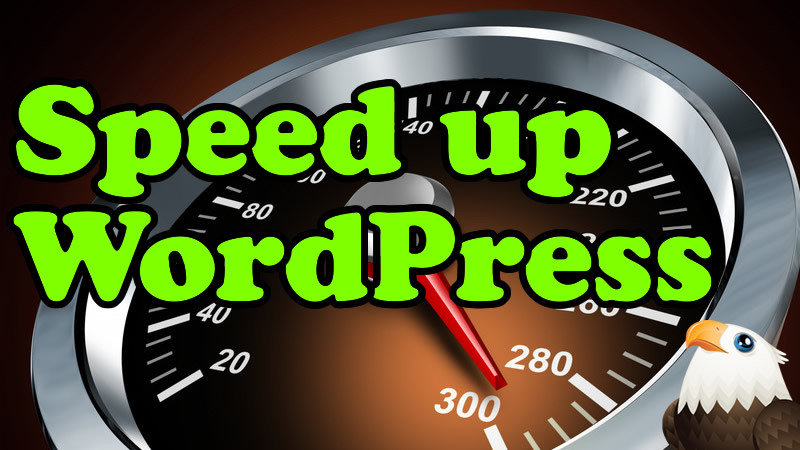 In this video I take you through some ideas on how to speed up your WordPress site. Check out the speed of your site using the Google Pagespeed tool. Your tutorial is awesome, thanks! It really helped me increase my page speed… really easy to follow too. I have been having problems with our site loading slow. I will be following your instructions and see if it helps. Thank you for sharing! The products and services that I link to on this site are ones that I use myself and am proud to recommend. If you follow one of my links or use a discount code please be aware that I may receive a commission. I’d also like to say THANK YOU if you do. I really appreciate it.